Winnie's Inky Fingers: Merry Christmas, Dear! 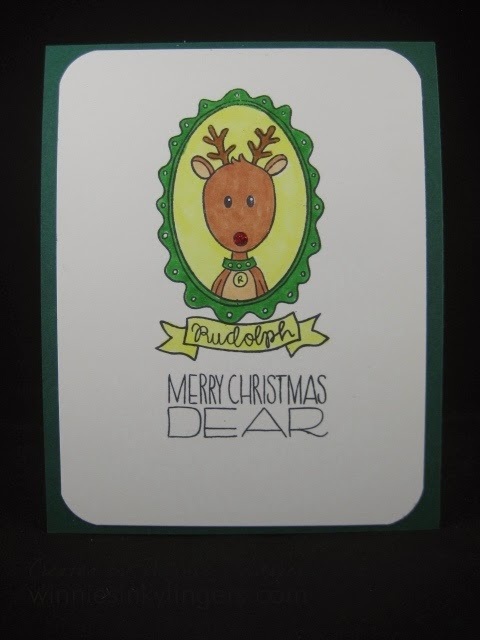 I have been busy in my stamp room making more Christmas cards. Today I am sharing a pair of them with you. 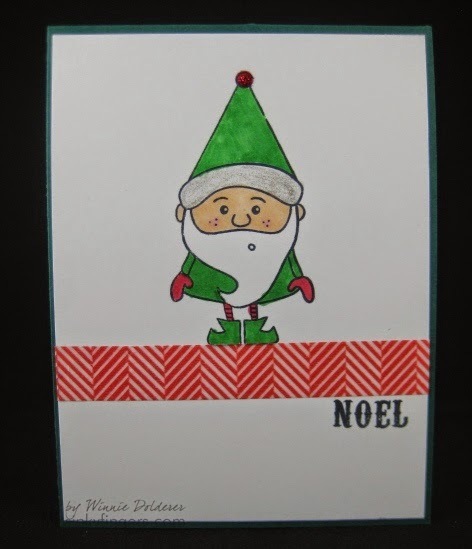 Both cards were made with a Simon Says Stamp set called Gnome For The Holidays. I won this stamp set a while back, and find it fun! Hoping to find some time to make more cards soon. Really miss having inky fingers! These are sweet Winnie! Thanks for some holiday cheer on a rainy Tuesday. I'm catching up on the cards you've made and your cute Santa teapot. I made 36 cards for an exchange with a tea group I belong to on FB and then put together enough for our own list. It's amazing how a bit of sparkle can make a card that much more festive!